I couldn't let Christmas go by without wearing this little beauty I found at a Hot Dollar store! 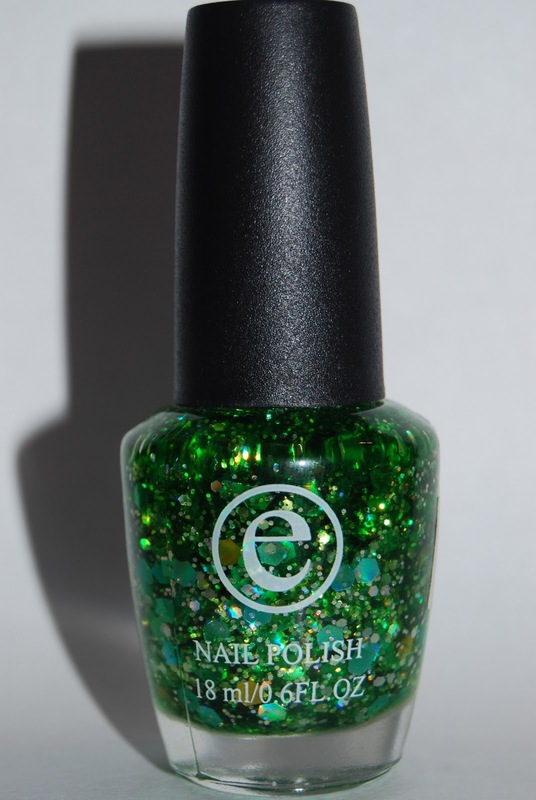 This is Easy Paris Cosmetics in the shade #026 and it has large hexagonal, slightly holographic green and gold glitter interspersed in small silver hex and round glitter in a sheer green base. I was feeling rather festive while I was picking out a base colour and decided to do alternate both my Christmas favourites. 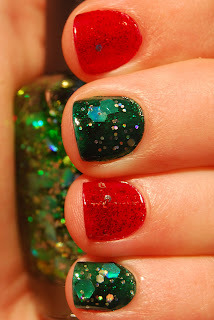 The green nails are two coats of China Glaze Emerald Sparkle, with one coat of the green hex glitter, and the red is two coats of China Glaze Ruby Pumps, with one coat of OPI Gettin' Miss Piggy with it. 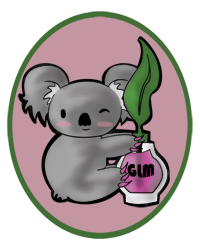 It's just rolled over to Christmas morning in Sydney, so Merry Christmas from down under, i'm off to get some sleep! What an awesome glitter! And your nails are so cute! I have LOVED reading your blog this year, thank you for the amazing beauty reviews! Happy New Year, hun!